Parents need to take precautions in order to ensure the safety of their children while out trick-or-treating. Luckily, since information spreads easily nowadays, finding helpful tips and tricks to keep Halloween safe is a piece of cake. We here at Bail Bonds in Los Angeles have taken the extra steps to gather some of this information and put it in a single place in order to help people keep their families safe and sound this Halloween. A parent looking to monitor their kid’s candy haul can also take into account houses or streets that offer more, or less, candy. We have several parents here at Bail Bonds in Los Angeles, we know how chaotic some of those sugar rushes can get. That is why we don’t judge parents who are looking to downsize the inevitable sugar high they will have to deal with after Halloween. 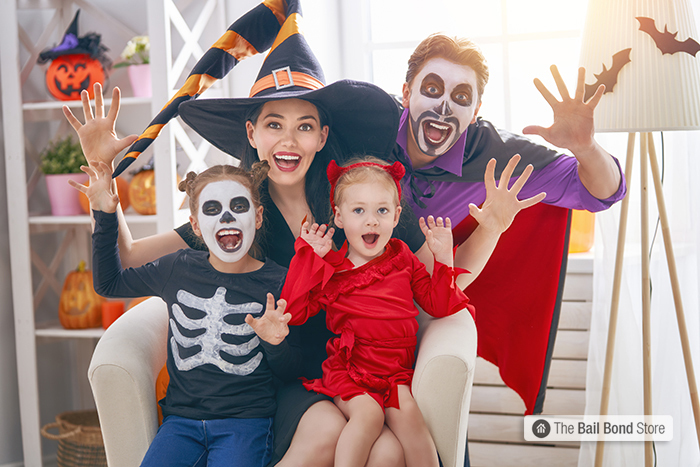 From all of us here at Bail Bonds in Los Angeles, we hope you and your family have a safe and spook-tacular Halloween this year.